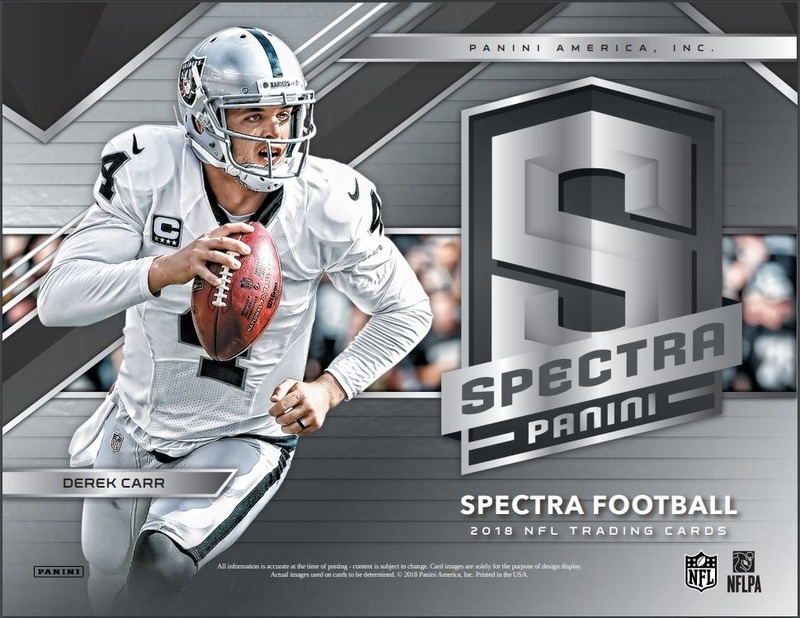 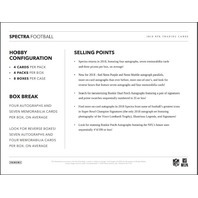 - Spectra returns in 2018, featuring four autographs, seven memorabilia cards and three prizms per box, on average! 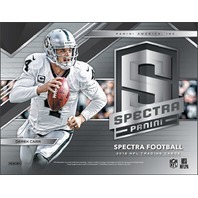 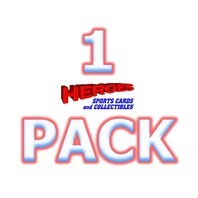 - New for 2018 - find Neon Purple and Neon Marble autograph parallels, more on-card autographs than ever before, more one-of-one’s, and look for reverse boxes that feature seven autographs and four memorabilia cards! 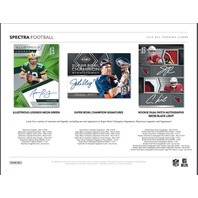 - Search for mesmerizing Rookie Dual Patch Autographs featuring a pair of signatures and prime swatches sequentially numbered to 35 or less! 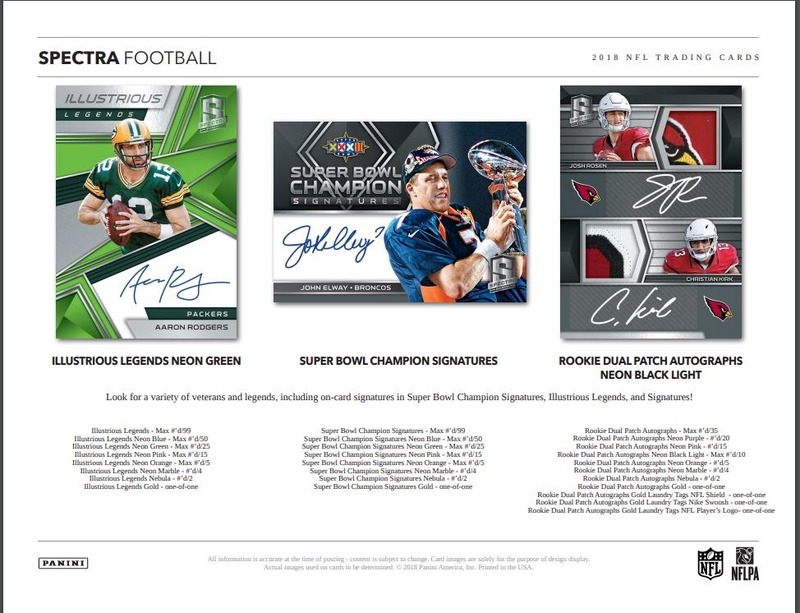 - Find more on-card autographs in 2018 Spectra from some of football’s greatest icons in Super Bowl Champion Signatures (the only 2018 autograph set featuring photography of the Vince Lombardi Trophy), Illustrious Legends, and Signatures! 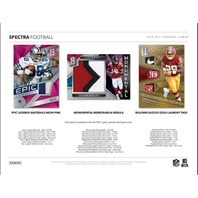 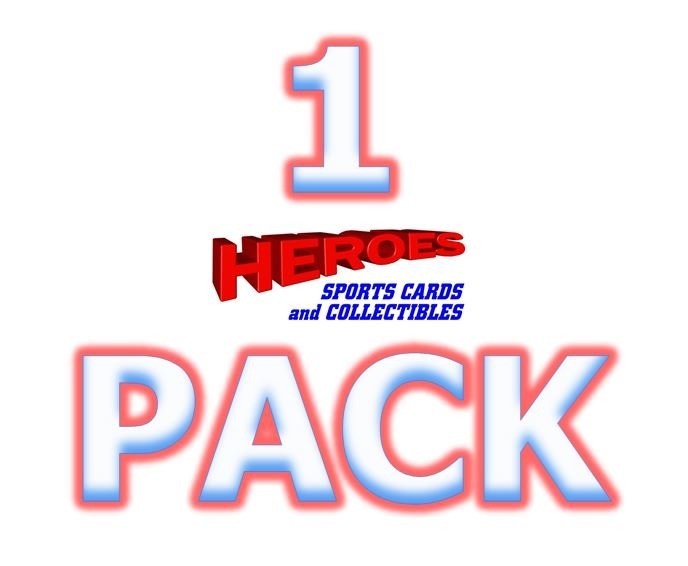 - Look for stunning Rookie Patch Autographs featuring the NFL’s future stars sequentially #’d/199 or less! 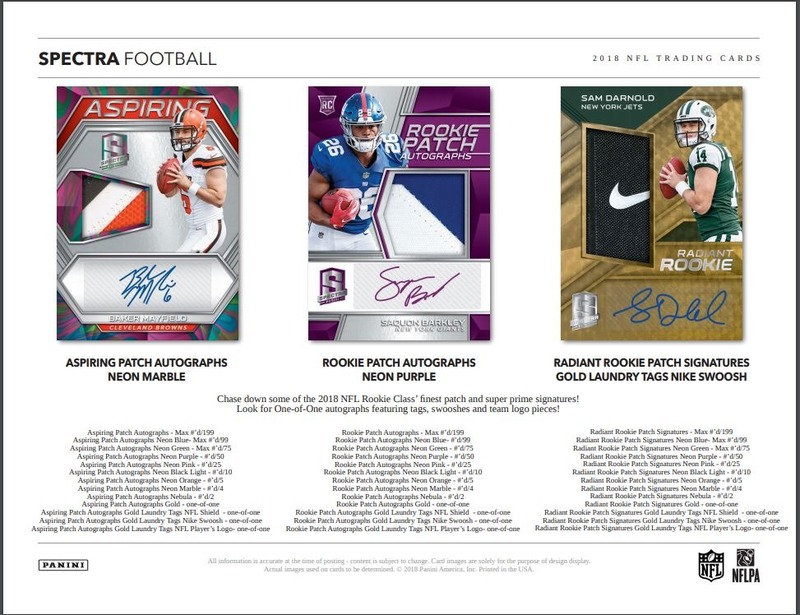 Chase down some of the 2018 NFL Rookie Class’ finest patch and super prime signatures! 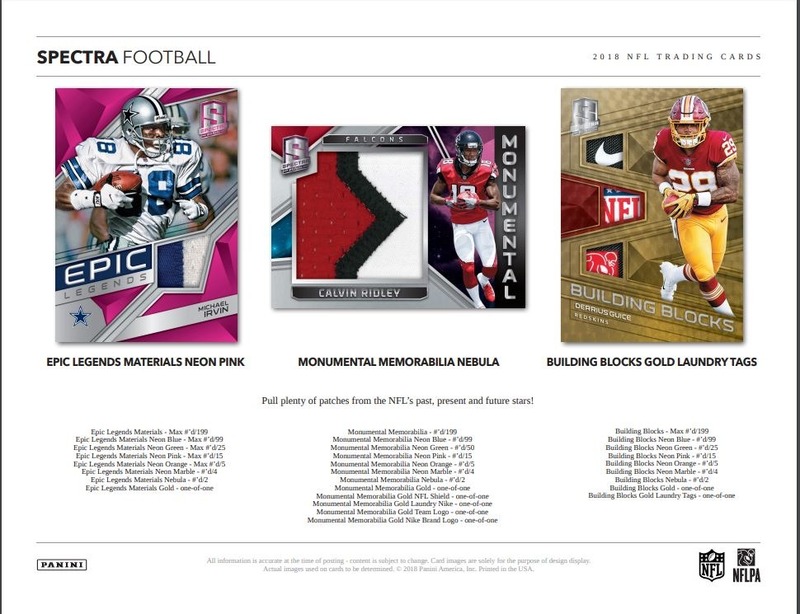 Look for One-of-One autographs featuring tags, swooshes and team logo pieces! 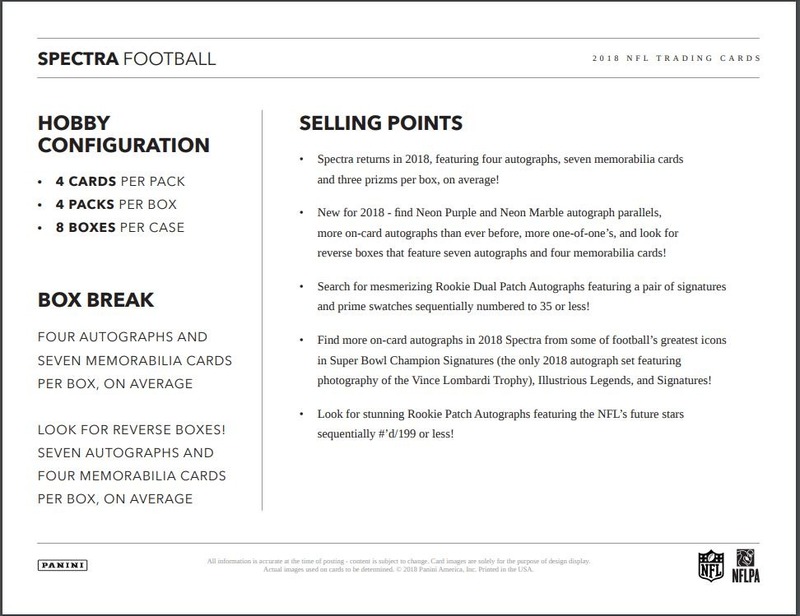 Look for a variety of veterans and legends, including on-card signatures in Super Bowl Champion Signatures, Illustrious Legends, and Signatures! Pull plenty of patches from the NFL’s past, present and future stars!